Peach Milkshake or the Peach Bowl? It’s understandable if you are a bit confused. Are we talking about the Chick-fil-A Peach Milkshake - or the Chick-fil-A Peach Bowl? Both are steeped in homespun Southern goodness and have devotees counting the days ‘til their arrivals. While the beloved, seasonal peach shake comes to a close with the end of summer, it’s time to say hello to the other. Football season is here. Televisions all over the country already are primed to record the first big Saturday of college football, Sept. 1. Along with other match-ups that day, the Auburn Tigers and the Washington Huskies will play in the Chick-fil-A Kickoff Game at Mercedes Benz Stadium. All of the action of the regular season eventually leads to a bevy of bowl games, including one of the most prestigious, the Chick-fil-A Peach Bowl on December 29. 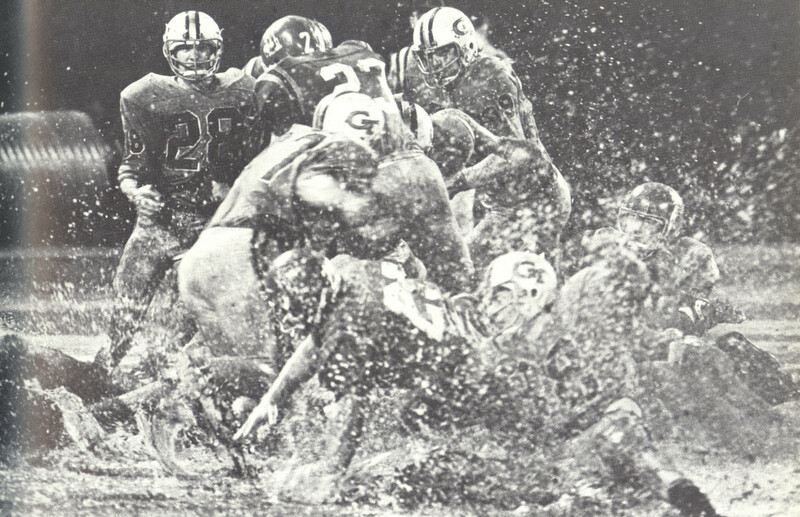 The Georgia Lion’s Club founded the Peach Bowl in 1967 and hosted its first NCAA-sanctioned Peach Bowl game in Atlanta in 1968. From those humble beginnings, it grew to become one of the top six bowl games across the college landscape. Chick-fil-A’s involvement for the past 21 years, says John Shackelford, who leads the Chick-fil-A peach bowl partnership for Chick-fil-A, is about creating the ultimate fan experience. “We want people to walk away with memories to last a lifetime,” he says. That same sense of history and creating the ultimate food experience is behind the Peach Milkshake. Angela Wadlington, a Chick-fil-A chef tasked with concocting new menu items, says the peach milkshake, introduced as a limited-time offering for the first time in June 2009, is rooted in family and memory. When people find out she worked on the creation of Chick-fil-A’s peach milkshake, Wadlington says they immediately share their own memories about childhood sweets and the mothers and grandmothers who prepared them. Since its initial offering, the peach shake has been an annually anticipated treat each spring or summer for about three months at a time. The chopped peaches are handspun each time with delicious Icedream®, topped off with whipped cream and one crucial cherry. So, is it a stretch to pair Peach Milkshakes and the Chick-fil-A Peach Bowl? Not so, if you’re a true fan. Chick-fil-A is the proud title sponsor of the Chick-fil-A Kickoff Game, the Chick-fil-A Peach Bowl, and The College Football Hall of Fame and Chick-fil-A Fan Experience.